The Host Institution of research project PLATINUM is the Department of Humanities of University of Naples “Federico II”, one of the most ancient and prestigious Italian and European University, founded by Frederick II in 1224. It was established on 1st January 2013 as a result of great modifications that affected the whole university system in Italy. The Department of Humanities is one of the largest University Departments in Italy and seat of a long tradition and of many centers of excellence in the sphere of classical philology. Furthermore, because the PLATINUM’s experience may grow, partnerships have been established with some European centers, having as field of research the study of Latin texts on papyrus and transmitted through papyraceous tradition, in a continuous relationship of dialogue and collaboration. The Centre de Documentation de Papyrologie Littérarie at the University of Liège is one of the leading centres for the study of papyrology. It is home to the Mertens-Pack3 Database of Literary Papyri, a unique online catalogue of all the c. 8000 known Greek and Latin literary papyri. Along with the database, the CEDOPAL also provides scholars with a number of subject-specific bibliographies which are regularly updated. The CEDOPAL also houses one of the largest collections of papyrus photographs in the world, as well as a rich collection of books and articles on papyrology. The École pratique des hautes études (EPHE) is a public higher education institution of training and research both in the humanities and social sciences and basic and applied sciences founded in 1868. The Collaborative Research Centre 933 (University of Heidelberg) examines script-bearing artefacts: pillars, steles, portals, tombstones, potsherds, amulets, scrolls, papyri, parchment codices; to name only a few. Its main research interest focusses on the specific materiality, the evoked presence of the inscribed artefacts and the written texts themselves. “Act of the Scribe: Transmitting Linguistic Knowledge and Scribal Practices in Graeco-Roman Antiquity” is a project funded by the Academy of Finland from September 2015 to August 2019. It works at the Department of World Cultures in the University of Helsinki. The project studies the mechanisms of the language production in order to separate the technical effects from the linguistic and cognitive processes. 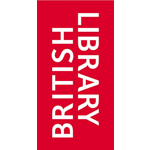 The aim of the the British Library’s Medieval and Earlier Manuscripts Section is to revisit and refresh its distinguished collection of Latin papyri by digitizing, cataloguing and publishing it at its digitised manuscripts website and promoting it for academic audience as well as the wider public. “NOTAE – NOT A writtEn word but graphic symbols” is a project funded by the European Research Council. It aims to investigate the presence of graphic symbols in documentary records as a historical phenomenon from Late Antiquity to early medieval Europe and represents the first attempt to conduct a research on such topic. ‘Graphic symbols’ are meant as graphic signs (including alphabetical ones) drawn as a visual unit in a written text and representing something other than a word.